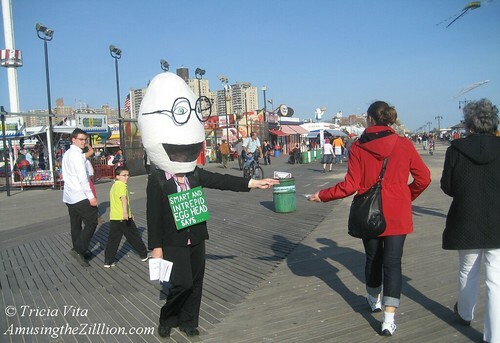 Photo of the Day: Flyering for the Boardwalk, Not Sidewalk! It is vitally important for us to have a large turnout present in the courtroom when our case is heard. It will indicate to the judge the widespread level of concern that exists with regard to the Park Department’s plan for the Boardwalk. BOARDWALK NOT SIDEWALK! Thursday, October 25th, 9:45 AM Kings County Supreme Court, 360 Adams St. Downtown Brooklyn, Hearing Part number: 38. Judge: Martin Solomon. Closest subway stops: Court St, Jay St/Borough Hall. We will meet outside the hearing room at 9:30AM sharp and then enter and sit together. RSVP 718-449-7017 or robburstein@hotmail.com. Go to www.savetheboardwalk.wordpress.com for more info, to check for last minute date changes and to sign the petition! 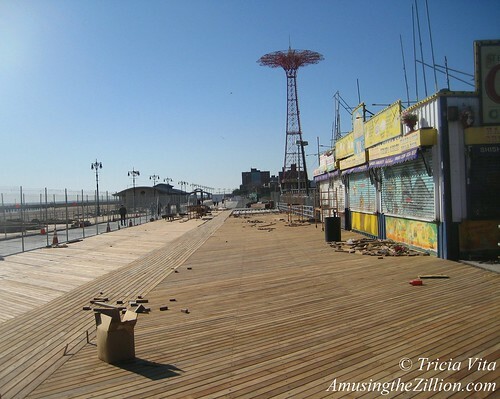 In July, the advocacy groups Friends of the Boardwalk and Coney-Brighton Boardwalk Alliance along with neighborhood residents filed a lawsuit against the New York City Parks Department to stop the agency from replacing additional sections of the Coney Island Boardwalk with concrete and plastic wood. The Mayor’s Public Design Commission unanimously approved a ten-foot-wide Concrete Lane for so-called “emergency vehicles” and an adjoining Plasticwalk for a pilot project in Brighton Beach. 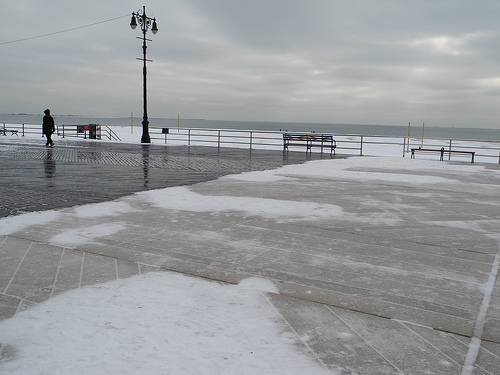 Sections of the Boardwalk in Brighton Beach and Coney’s west end near Sea Gate are already a Concretewalk. You can see what it looks like here and here. 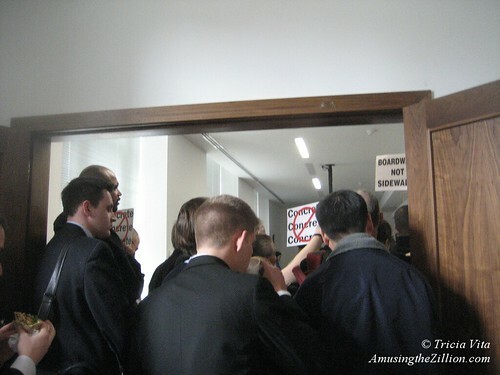 UPDATE September 28, 2012…The date of the hearing is now set for Thursday, October 25th. According to an email from Rob Burstein, all of the other information- location, time, etcetera-mentioned below remains the same. 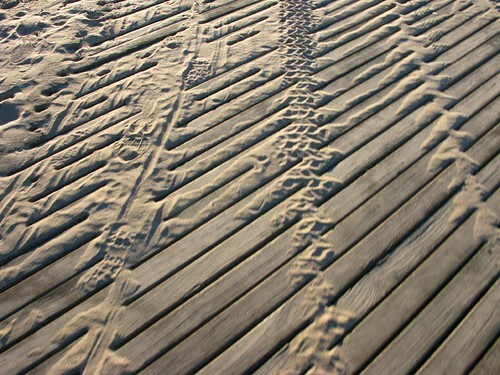 In July, the advocacy groups Friends of the Boardwalk and Coney-Brighton Boardwalk Alliance along with neighborhood residents filed a lawsuit against the New York City Parks Department to stop the agency from replacing additional sections of the Coney Island Boardwalk with concrete and plastic wood. A ten-foot-wide Concrete Lane for so-called “emergency vehicles” and an adjoining Plasticwalk had been unanimously approved by the Public Design Commission for a pilot project in Brighton Beach. 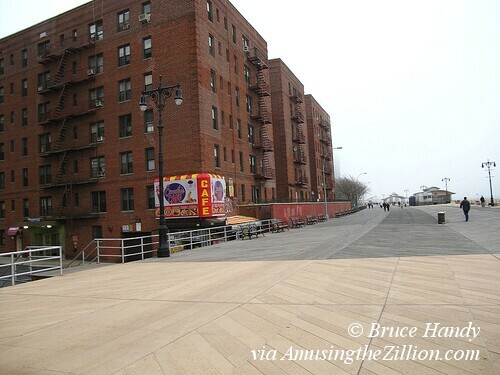 Sections of the Boardwalk in Brighton Beach and Coney’s west end near Sea Gate are already a Concretewalk. 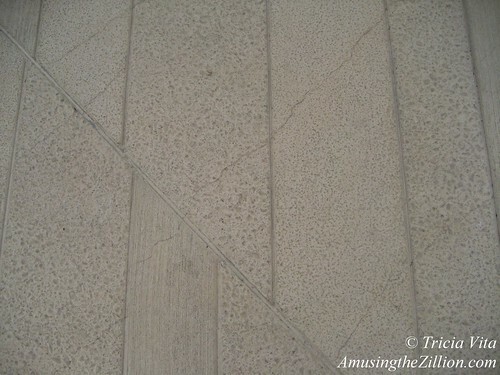 You can see what it looks like here and here and the photo below. As most of you know, the law firm of Goodwin-Proctor is representing us in a lawsuit against the Parks Department. The suit alleges that they failed to perform the required environmental impact studies to assess the numerous negative impacts that their intended plan will have for our community and all who make use of the Boardwalk were it to be implemented, and asks that the Court compel them to do so before going forward. Is Maryland’s Ocean City, which has a new wood Boardwalk, more innovative than NYC? Read Todd Dobrin and Ron Bursteins’s op-ed in Monday’s New York Daily News. 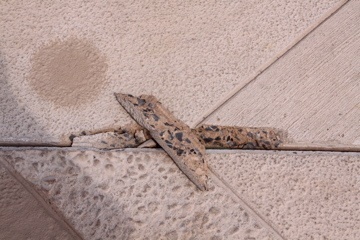 Dobrin and Burstein are founders of the two advocacy groups who are bringing the case against the Concretewalk to court. The suit aims to stop the agency from replacing additional sections of the Coney Island Boardwalk with concrete and plastic wood. 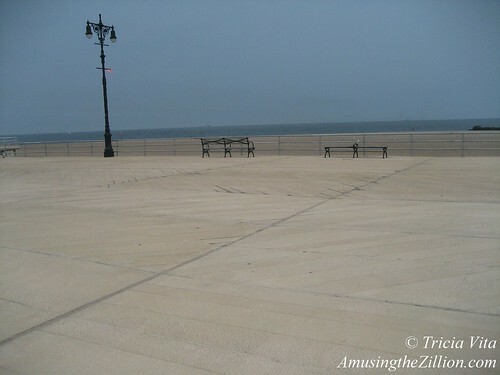 The above photo taken a few weeks ago by ATZ shows the concrete-slabbed Boardwalk between West 33rd and West 37th Streets in the West End of Coney Island. It’s not a pretty sight. 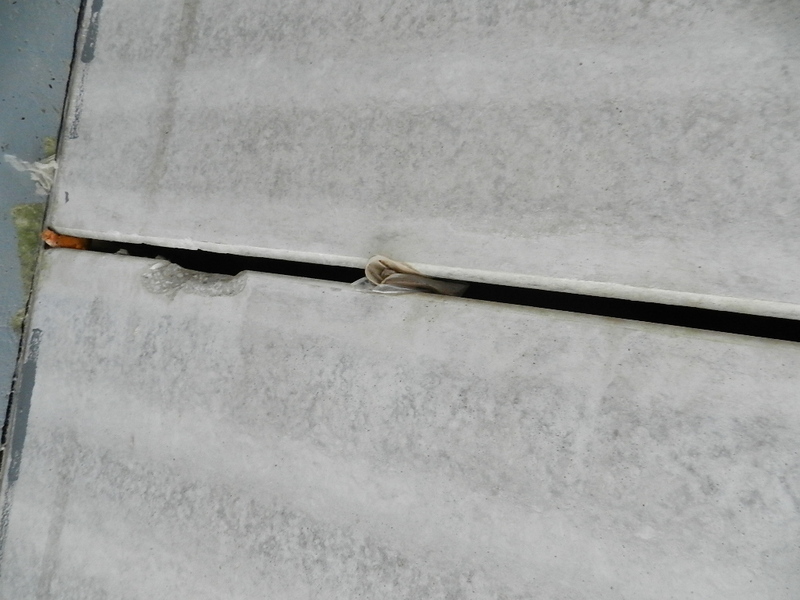 The cracks, repairs and drainage issues mentioned in the suit can be seen in the close-up shots. The Parks Department’s plan to redo the Boardwalk was approved by the Public Design Commission at a charade of a public hearing in March. The petitioners are the Coney-Brighton Boardwalk Alliance and its president Robert Burstein, Ocean Parkway resident Arlene Brenner, Boardwalk resident Brunilda Figueroa, Friends of the Boardwalk and its president Todd Dobrin, and Ida Sanoff, an environmental advocate who led the fight against the amphitheater in Seaside Park. All are longtime residents of Brighton Beach. 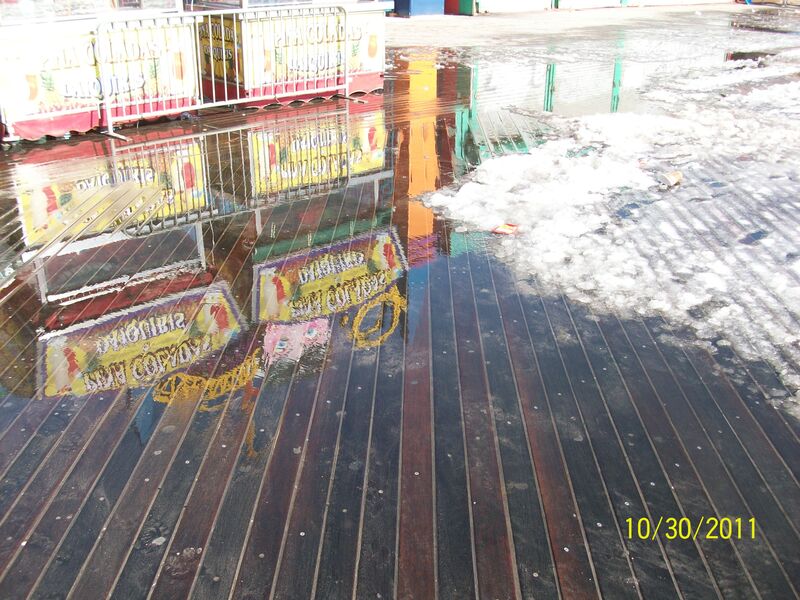 The lawsuit seeks to prevent the Parks Department from implementing a plan to replace 56,000 square feet of wood boards on the section of the Coney Island Boardwalk running from Coney Island Avenue to Brighton 15th Street with concrete and plastic. 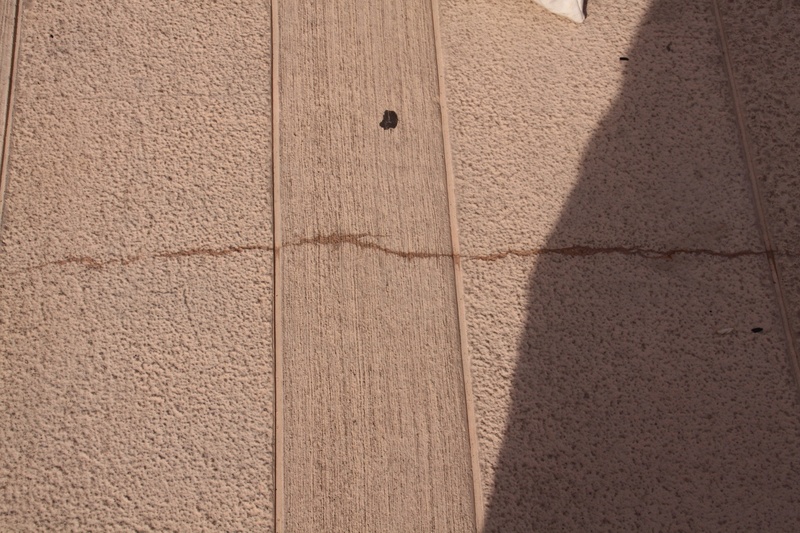 The lawsuit also contends that the Parks Department has a longer-range plan to replace most of the Boardwalk – approximately 1 million square feet of wood – with some combination of the same concrete and plastic materials. The lawsuit contends that the Parks Department violated the New York State Environmental Quality Review Act (“SEQRA”) and New York City’s Environmental Quality Review (“CEQR”) regulations by not subjecting its plans to the necessary environmental review. Under SEQRA and CEQR, state and municipal agencies are required to determine if actions they undertake may have a significant impact on the environment. 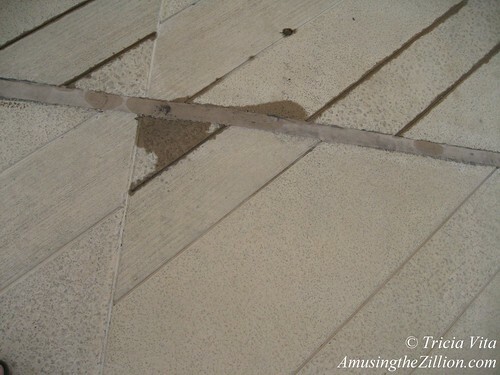 Under the law, factors such as erosion, flooding, drainage problems, and impact on existing use must be considered. Additionally, an agency must consider the project’s impairment of the character or quality of important historical or aesthetic resources and existing community or neighborhood character. Since Parks initiated the January 30 date to make their presentation, it appears that they are not yet ready to prove their case for concrete before the Public Design Commission. At the October hearing, PDC commissioners were skeptical of the need to use concrete and said that more environmental and engineering studies were needed to address the questions that they had. “Please SAVE THE DATE, so that if it is confirmed we can all once again be sure to be there,” says Burstein of February 21. Public testimony is limited to three minutes per person. 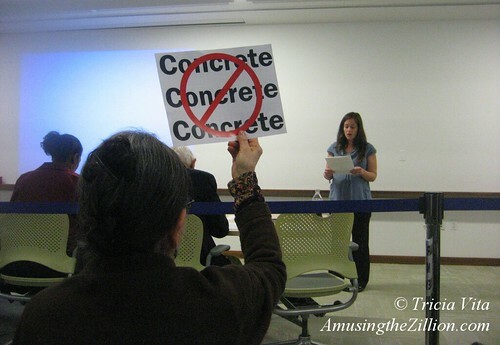 For more info, check out our previous post “Jan 30: NYC Design Commission to Meet (Again) on Coney Island Concretewalk,” (ATZ, January 20, 2012). On Saturday, January 28th at 3pm, Burstein’s group and Friends of the Boardwalk are having an informational meeting at Brighton Beach Library. Email Rob Burstein at robburstein[AT]Hotmail[dot]com for details. 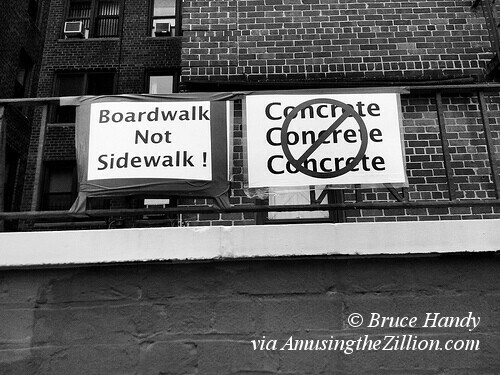 Meanwhile, an online petition to “Keep the Boards in the Coney Island Boardwalk–No Concrete” launched this month has eight-hundred-and something signatures and a goal of 5,000. If you didn’t sign yet, don’t complain when your feet ache from walking/jogging on the Concretewalk. 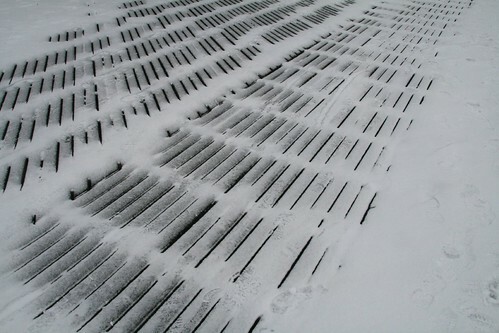 Of course, if the Boardwalk does get paved, images like photographer Bruce Handy’s exquisite “Boardwalk Slats in the Snow” and “Sand on the Boardwalk” will be a rare sight.